Roy Hodgson welcomes Tottenham Hotspur to Selhurst Park hoping that a win in the FA Cup will boost Crystal Palace’s confidence. Crystal Palace enjoyed a rewarding Christmas period with the victory over Manchester City an obvious highlight. They came close to taking points off league leaders Liverpool in their last Premier League match and will believe that they can use home advantage to get them past an injury plagued Tottenham Hotspur side. Spurs are regularly thought of as a cup side by sports betting sites but they have not lifted this trophy for 28 years. Mauricio Pochettino has stated that he wants to win every competition Spurs are entered into but the FA Cup will be well down the list of priorities with important Champions League and Premier League matches coming up. Palace squeaked past Grimsby Town in the last round thanks to a late winner from Jordan Ayew – and that was after the League Two side had had a man sent off in the second minute. Hodgson may rest a few players again but this could be a good chance for Palace to knock out a second string Spurs side. He may not have played in this match anyway but Harry Kane is still out injured and with Sissoko, Son and Alli all out due to injury or international commitments it could be a very unfamiliar Spurs side who take to the pitch at Selhurst Park. It would be the result that neither manager wants but this could end in a 2-2 draw. Bookies sometimes price FA Cup matches as if they were Premier League games but with unfamiliar players and line-ups there is definitely the opportunity for goals. Expect both sides to score to take them to a replay. 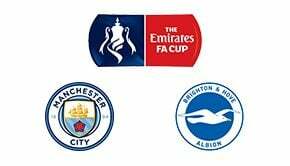 The FA Cup is a competition of stories and with the form that Andros Townsend is in it would not be a surprise to see him score against his former club – and with goals against Manchester City and Liverpool in recent weeks, the winger is a threat. Spurs won at Selhurst Park in November thanks to a Juan Foyth goal but Palace were victorious last time these two met in the FA Cup three years ago. Spurs strolled past Tranmere as they kicked off the third round in devastating fashion – beating the Merseyside club 7-0. 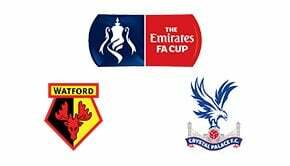 Crystal Palace have finished runners up in the FA Cup on two occasions but have only ever won the Full Members Cup back in 1991. Tottenham made it all the way to the semi finals of last season’s competition before being knocked out by Manchester United. Spurs striker Fernando Llorente has more goals than he has had starts this season thanks to the hat trick he scored against Tranmere in the third round.